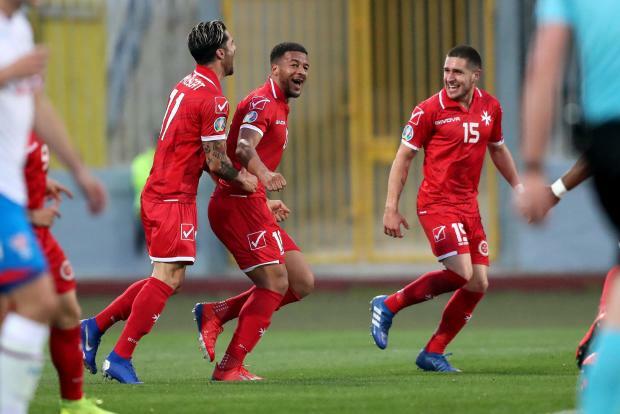 The Malta national team ended a 13-year wait for a home win in a competitive match on Saturday, scoring a goal in each half to overcome the Faroe Islands in their opening Euro 2020 qualifier. Goals from Kyrian Nwoko and a Steve Borg penalty handed the national team their first win in an international competition since a 2-1 win over Hungary at Ta' Qali in 2006. Malta started brightly as they kept with Farrugia’s promise of playing a high-pressing game giving little time to the visitors to settle with the ball in their feet. 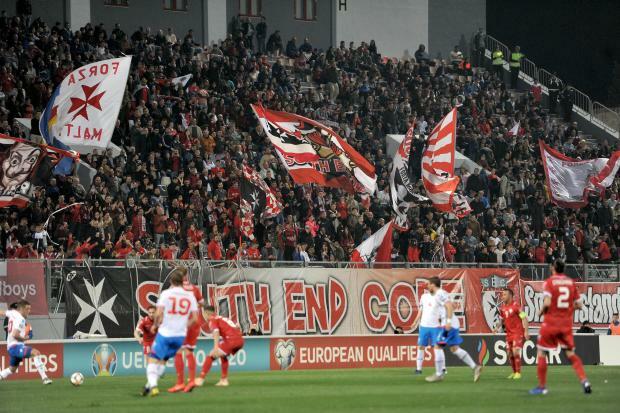 On 14 minutes, the National Stadium erupted with joy when Malta took the lead with a brilliant goal. Rowen Muscat sent a long ball inside the area towards Paul Fenech and the Balzan midfielder immediately tapped the ball towards Nwoko, who anticipated his marker to head past goalkeeper Gunnar Nielsen. Malta were clearly on top and the Valletta striker almost added a second 18 minutes in. Mbong charged through on the right and after elegantly avoiding his marker he lobbed the ball towards Nwoko, who headed just wide. Malta’s midfield trio of Guillaumier, Muscat and Fenech were running the show in these early stages. On 21 minutes, Guillaumier picked Fenech who teed up Mifsud but the veteran striker fired over. The Faroes finally threatened on 27 minutes when Viljormur Davidsden sent a low cross towards Hallur Hansson but Caruana was well placed to block the midfielder before he could pull the trigger. Two minutes into the second half, Malta threatened again when from a Guillaumier free-kick, Agius nodded the ball towards the centre of the area but the sprinting Caruana failed to make contact with the ball from close in. The Faroes started to step up the ante on the restart as they started to put more pressure on the Malta defence but still Bonello looked untroubled. On 55 minutes, Mifsud looked to have sped through the Faroes defence but was stopped by a challenge by Odmar Faero. Referee Thorarinsson was unmoved, to the chagrin of the Malta clan. The Malta defence endured a scare on 59 minutes when Corabalan hit a short back pass towards Bonello but the Malta keeper was alert to clear the danger. Disaster nearly struck the hosts on 65 minutes. From a throw-in, Gilli Rolantsson’s back header caught the Malta defence napping. Joensen's shot was blocked by Borg. The Faroes soon regained possession with the ball falling to Hannson whose shot was blocked by the arm of Andrei Agius, who denied a clear goal. Referee Thorarinsson pointed to the spot and dismissed Agius. However, from the spot Brandur Hendriksson saw his shot brilliantly saved by the diving Bonello. Here, Farrugia withdrew Corbalan and Mifsud and brought on Zach Muscat and Joseph Zerafa and switched to a more defensive five-man defence with Mbong moved to a more advanced position behind Nwoko. Mbong’s switch immediately reaped dividends as on 76 minutes the Hibs wingback embarked on a surging run that saw him move past three defenders before he was brought down in the area by Atli Gregersen. From the spot Steve Borg sent Nielsen the wrong way to double Malta’s lead. Bonello again distinguished himself eight minutes from time when Kaj Bartalsstovu picked Viljormu Davidsen inside the area but his thumping drive was blocked by the Malta goalkeeper. 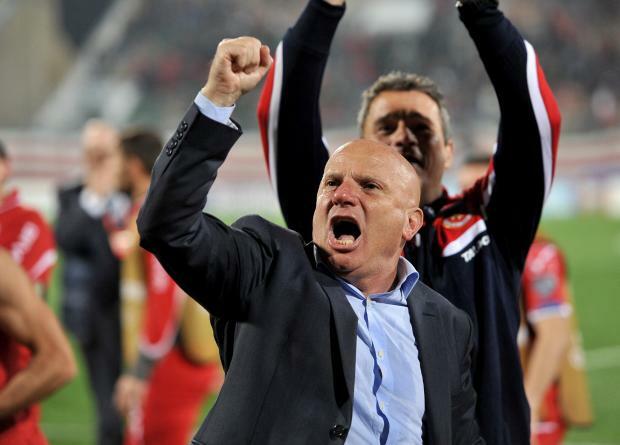 When the fourth official signalled seven minutes of stoppage time, tension crippled among the Maltese fans. The Faroes pulled a goal back when Gilli Rolantsson nodded the ball towards Jakup Thomsen who headed home from close in. But it was virtually last kick of the game and failed to derail the hosts. As the referee blew the final whistle the National Stadium erupted with joy to celebrate the national team's victory and plucky display.